Computer won't boot (not certain if malware related) Resolved. The following from a tech aspect only and in no way intended as malware removal assistance. First of all, is this a new computer and/or is it still under warranty. 1. Turn off your computer. 2. Press and hold the F12 key, and then turn on the computer. When the Startup Device Menu appears, release the F12 key. Note: If the Startup Device Menu does not display using these steps, repeatedly press and release the F12 key rather than keeping it pressed when turning on the computer. 3. Use ↑ and ↓ arrows to select the desired startup device from the Startup Device Menu and press the Enter key to begin. Note: Selecting a startup device from the Startup Device Menu does not permanently change the startup sequence. Let us know how the above goes. to clarify, do you mean to try the various start-up devices sequentially to see if one works, or select a specific different option than default? 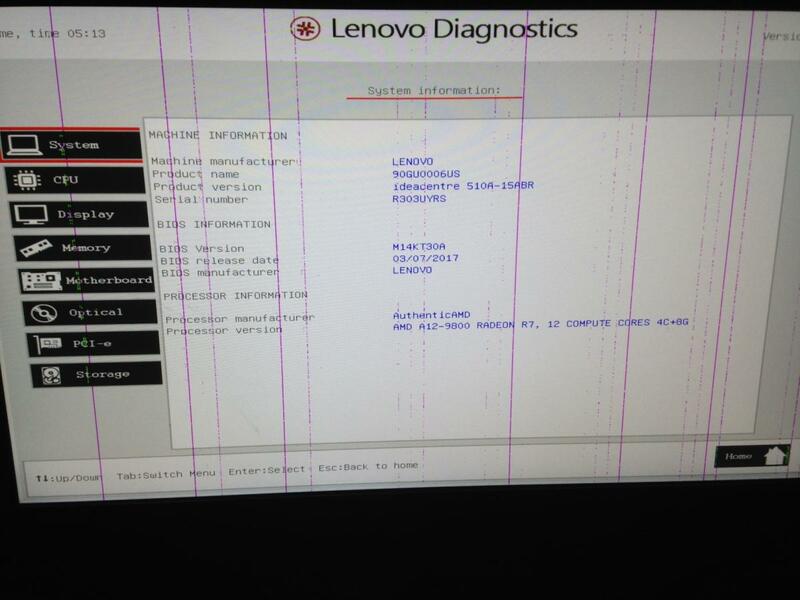 Please answer the question above, if this computer is under warranty and you have not done anything to cause this issue the merchant that you purchased the computer from is responsible for putting things right, if you start tinkering with things yourself you would risk voiding any warranty that may be in place. For a computer to boot it needs an operating system such as Windows which in turn needs to be a stored on a storage device, the only such device that should be on your list that has Windows on it is the hard drive (HDD) and therefore the option that you should select. So no warranty to worry about voiding. I'm away from the PC until this eve, but the keyboard was working. Last night I was able to get into the Lenovo diagnostic utility and run tests on storage, usb, processor, hard drive etc. and all passed. There is glitchy display on white screen - but all else looked ok. I did not run anything on the right side of the menu (i.e., partitions). No worries, I am around for a couple of hours yet. 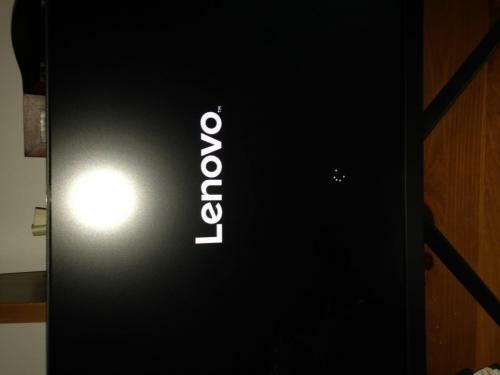 It is important that we know exactly what the screen looks like, if it was stuck on the Lenovo logo it would suggest that the computer had failed the power on self test (POST) which means that there is a hardware issue, a glitchy display could mean that there is a problem with the display itself or in the case of a desktop the video cable between the PC and the monitor, the latter is also somewhat supported as a possibility because you mentioned that the HDD passed the Lenovo diagnostic test + you have not said that you are getting any on screen message asking for a boot device. No pic attached I`m afraid. That looks to be hardware related. Do you happen to know if your computer also has an add on video card as well as the integrated video. If needed, are you ok with working inside of a computer. I don't think there was any addl video, it was a pretty basic machine and I did not add anything. I am good with working inside the box. Before doing the following, long shot but something for you to try, shut down and restart the computer a couple of times using the power on button, this to see if you can force the computer to start in the Windows recovery environment (RE) I suspect that it may not but want to suggest as much as I can before you open up the computer. If no Windows RE you will need to open up the case, check for any loose connections and try reseating the RAM and any add on video card if one is present. The following checks require the computer case to be opened so take the following safety precautions first, disconnect the power cord from the wall socket, press the computer power on button for around 20 seconds to get rid of any residual charge in the system, remove the side of the case, take anti static precautions before touching anything inside, you can do this by touching a bare metal part of the case or the PSU. Have a pencil and notepad to hand. Remove each stick of RAM and blow out the memory slots. Insert the first stick of RAM in memory slot one, reconnect the power and in the case of a desktop computer the video to screen cable. Power up the computer and see how it goes. Repeat the procedure until the first stick of RAM has been tested in each memory slot and the results written down. Remove the first stick of RAM and put it to one side on top of a piece of paper with the number one on it for identification purposes. Repeat the procedure with all RAM until each stick has been tested in all slots, the results written down and the sticks identified numerically. Please note that some MBs (motherboards) will not boot unless there is RAM in slot one, please advise if this is the case here.